Posted on January 2, 2019, 4:29 pm, by E gan F, under Art. I met Lucky when he was very young, and after a couple of more meetings with him I knew I wanted to paint him. So on every visit thereafter I studied him closely, and took many photographs, mapping out a painting in my head until eventually I was ready to paint. “Lucky” was finished in January of 2018. 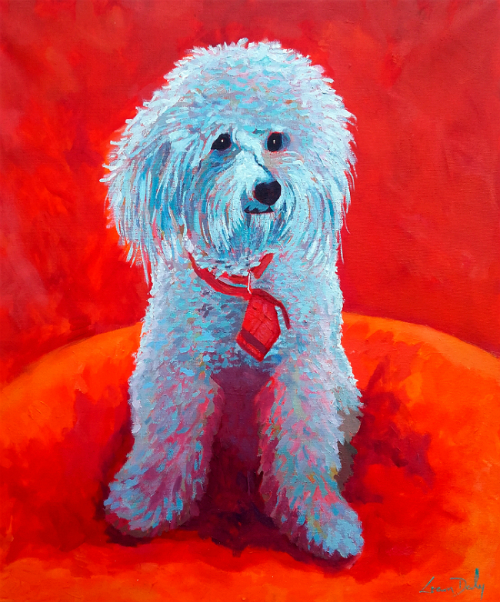 At 60cm x 50cm (23.5 in x 19.5 in) my painting of “Lucky” was my largest painting for years.